Who ever would have thought that dilapidated premises and warehouses would become highly coveted residential properties? Retaining their rough, unfinished charm, exposed concrete, visible pipes and brick walls are being used to give these spaces a robust yet authentic look. 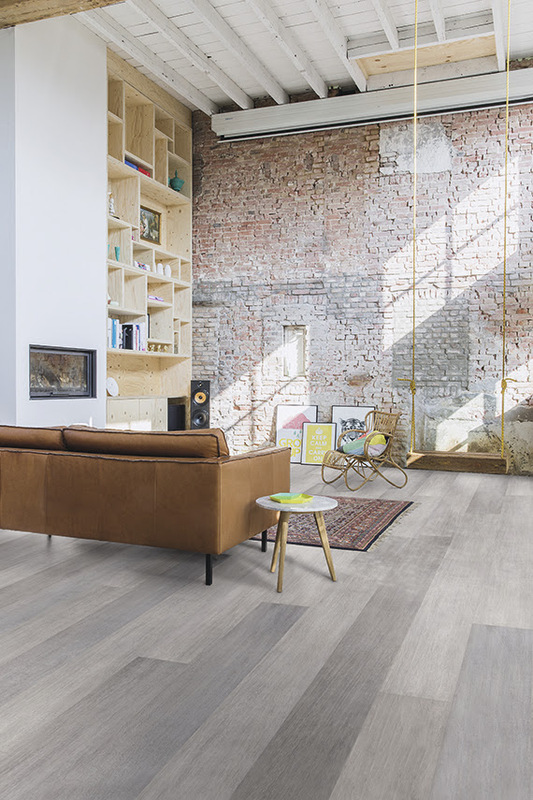 Indeed, the industrial trend embraces imperfection: unpolished interiors that exude character with every turn, and Quick-Step is the latest manufacturer to help introduce this feel to the home. Industrial interiors needn’t seem cold; with the right furnishing you can create the cosiest of home spaces, whether you are recreating in a former warehouse, cool loft or perhaps more traditional environment. Accent walls and copper accessories can easily warm up the chilly atmosphere of such buildings, exposed red brick an additional bonus found in locations of this type. Designers and architects have come to recognise the beauty of concrete and are using it more and more frequently. 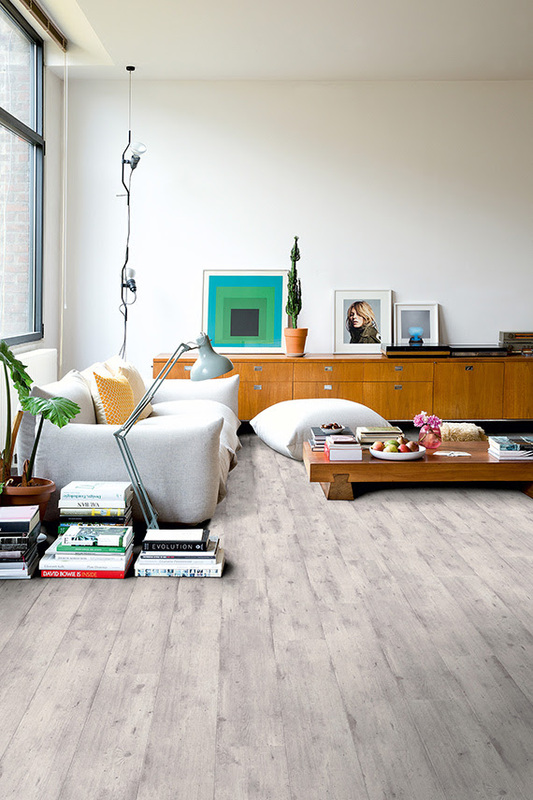 Quick-Step has responded to this with the industrial look and feel of Impressive ‘Concrete Wood Light Grey’, wood-look planks treated with a concrete effect for that highly desirable rough edge. 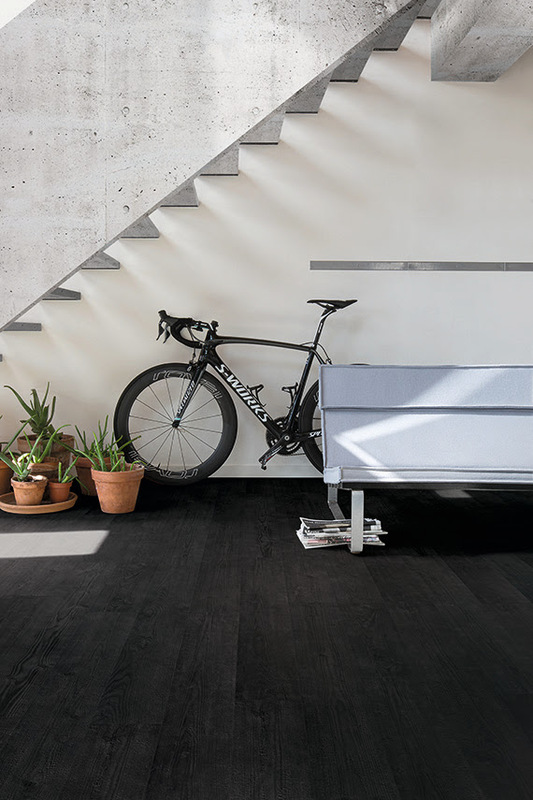 Quick-Step has a solution for a full-scale concrete look, too: ‘Polished Concrete’ from Arte creates a smoother, more neutral feel, giving your interior a bright and spacious atmosphere like few other laminates can achieve.